Worried about compliance with ever arduous food safety legislation? No need to be, we are proud to have again been awarded the STS Small & Regional Standard. Our product labelling details all the allergen and nutritional advice your customers might need. We can also provide you with printed specifications for your records. Our day to day procedures include full traceability from our supplier to when we hand over to you. Our kitchens and delivery vehicles are chilled so we maintain the chill chain from receipt of ingredients, storage, production and delivery. 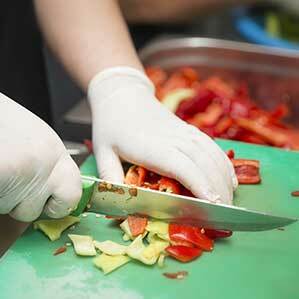 Our sandwich chefs are fully trained in our food safety procedures. Our bookshelves are groaning with HACCP documentation for your peace of mind.